8:27: After forcing a three and out, the Clog went straight to Lavelle Hawkins on the first play from scrimmage. The result: a 72-yard touchdown. HAWK HAWK HAWK HAWK [picture us waving our arms as well]! 8:33: The Clog once again got the ball back on a 3 and out and decided to run the option (can you imagine Tedford running the option with Longshore?). On the third consecutive option play, Forsett managed to break loose for a touchdown. Let the fireworks begin. 8:40: Coming out of halftime the Clog received the kickoff and proceeded to score another touchdown. This time DeSean took it to the house on a 55 yard score. 8:43: Worrell Williams just picked off the ball, only to get hit-sticked and fumble it back to Air Force. 8:50: Bill was driving deep into the Cal territory when Syd’Quan came up with a big interception. Luckily he didn’t fumble like Worrell. 8:55: Nate-Nate just got hit hard and is out for the game. NCAA Football ’08 automatically subbed Kyle Reed in but we’re going to be factual and put Kevin Riley in (Reed transferred to San Jose State before the season started). Finally all the Cal fans will get to see Riley take his first snap since the Oregon State game. 9:02 And that’s the game. Riley threw a pick to end it—at least he didn’t run it this time. The final score was 20-3 in favor of Cal (ya Andrew Kay missed the first PAT). What a beat down. 9:10: Somehow Nate-Nate finished with a passer rating of 534—is that even possible? The genius that is EA Sports selected the Worrell Williams pickoff and fumble back to Air Force as the Pontiac Performance of the Game (what obscene product placement). 9:27: The Clog has now moved itself from its basement to Goody’s house (another friend of the Clog’s). Boo we get Dan Fouts. 9:32: Whoa overload of information here. Tedford love wtf is Tedford love? The Clog is still confused for how long DeCoud, Jordan, and Jackson will be out for but we’re sure we’ll find out soon enough. 9:35: Woot woot for Jason Kidd introducing the Cal football team. That was an extremely stiff “Let’s go bears” at the end. Oh wow they got someone in a cockpit to introduce Air Force. Whatever, Jason is still cooler. The coolest introduction that the Clog has ever seen was by Cartman for Colorado. 9:38 Andrew Larson is the Clog’s official team MVP. He has by far been the most consistent player over the course of the season. Here’s Cartman’s introduction . 9:43: Air Force is running the option beautifully here. We could be down early. 9:44: We’re down to Air Force? This must be a dream. Eh, it makes sense though considering our abysmal run defense and the fact that Air Force is a run option team. 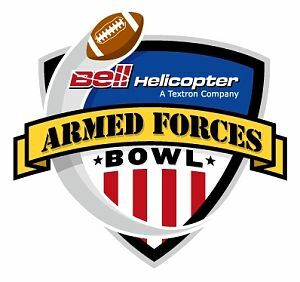 9:49: What does Bell Helicopter have to gain from sponsoring this game? Do they really expect some random alum from Cal or Air Force to all of the sudden go out and buy one of its helicopters? No way do they even come close to breaking even on the cost of sponsoring the game. 9:52: Every time James Montgomery carries the ball, our heart skips a beat expecting him to fumble the ball. 9:55: Sam Desa, this is why you get no playing time. CATCH FIRST, THEN RUN. 10:01: The Cal defense is looking like this is the first time it has ever seen the run option offense. 10:08: The Clog is trying to figure out the last time Cal has played against a primarily option team. It is possible that 1999 against Nebraska was the last time. Eric Crouch totally ripped us apart back then . Shame on Bill Callahan for installing the West Coast offense in place of the option. 10:17: Apparently no one on Cal wanted TO CATCH THE KICKOFF. Did the kicker mean to kick it that high or did he just mess up? We should be down by 21 in another two minutes. 10:24: That option even had the Clog confused. We were sure on the triple option the ball went up the middle. Is Air Force this good or are we this bad? 10:25: THIS CANNOT BE HAPPENING. KEVIN RILEY IS ALREADY IN THE GAME. Thank you Tedford, you are finally learning. 10:29: Did see you that mobility? Man Riley is going to be a great player. Nice catch by Jackson too, although he hurt himself in the process. When he was first hunched over, Bill was convinced that he lost his earring. Who knows, maybe his earring got ripped off. 10:34: Good choice by Dr. Chang to keep DeSean out for awhile. The kid is just so delicate. 10:44: Riley is in the zone here. Realistically though, could he replace Nate-Nate as QB 1 next year? If Riley keeps this up, there is no way it would sit well with anyone if Tedford starts Longshore against Michigan State. 10:51: Jackson is raising his arms for people to make noise. Maybe he doesn’t realize the stadium is half-empty—he could definitely have a concussion. 10:55:Horrible clock management by Tedford there. What is he saving the other timeout for? 10:57: Hawkins should have caught that pass like he should have caught those throws at the end of the Big Game. Did Nate-Nate dye his hair again? It definitely looks blonder than usual. 11:01: The Marines have been running that same old commercial for some time now. You would think that with the huge military budget they could find enough money to put together a new ad. 11:08: Bill is salivating over the preview of the Peach Bowl. He’s extremely psyched that Clemson is finally in a “real bowl game.” Someday we hope to share Bill’s joy (e.g. the Rose Bowl, unless of course you count the Holiday Bowl as a “real bowl game”). 11:13: Anyone else find it ironic that Robert Smith is now doing halftime shows? This is the same Robert Smith that retired after only 8 seasons to pursue a career in medicine. Looks like that career choice really worked out for him. 11:21: Lou Holtz’s pep-talks always gets us excited. That speech probably just leveled the playing field for Illinois. (As a note, the Clog would love to see U$C lose, but no way is that happening.) Cal should have put Holtz on the payroll as a consultant after the Oregon State game to fire up our leaderless team. 11:23: Look at this clip of James Bethea  before the USC game in ’03 if you want to see a real leader (there is loads of cursing in it). It’s amazing that this video somehow leaked to the public. 11:25: Goody has finally returned with Reuben sandwiches from Market Basket. The Clog considers this to be the best Reuben in all of North Jersey. 11:29: Our theory about how announcers are always wrong when it comes to challenged plays was just reaffirmed. 11:32: It’s a small miracle that Air Force did not score a touchdown from 5 yards out. 11:40: Air Hawkins is a redonkulous athlete. That leap has to go up there with his touchdown catch against USC for his top highlights of the year. 11:47: Oh we love Peyton’s pep talks. We’ve watched them all online several times over. Goody came up with an idea for a “This is SportsCenter” commercial. You knows those Stetson ads that Tom Brady does . Well instead of Brady, have Peyton there with Linda Cohn draped over his shoulder. God we should start a marketing company. 11:52: Dan Fouts is an idiot. After Tedford called a timeout when he realized Air Force was going for it on a fourth down he says, “What a heads up timeout by Tedford!” Really Dan Fouts? What else was he going to do, just roll with it and hope that DeSean Jackson would come up to the line and tackle Hall for a loss? 12:03: The Clog is convinced that Cal could be playing in the Rose Bowl if Riley started every game after Longshore’s injury. 12:06: Notre Dame must be hating itself for not offering Forsett a scholarship. 12:12: If Air Force punts again we need to bring the house and go for a block. Tedford needs to realize that they aren’t going to kick to DeSean so you need to go for the block. 12:19: We knew Nate-Nate’s 4th quarter numbers were bad, but after seeing that graphic from ESPN we’re in shock. A single touchdown to 13 interceptions in his career. Ouch. 12:23: The pictures of Justin Moye as a little kid were adorable. Props to his family—they put out a great spread during tailgates. 12:29: We have official odds for why DeSean was held out the first quater. 3:1 He was out to dinner with an agent. 5:1 He was late for curfew because downtown Fort Worth can be so much fun. 10:1 He did not show up to practice for a week because he’s DeSean. 35:1 He did not show up to practice for a week because he was studying for finals. 12:38: Tedford is breaking down several barriers in this game. First he put Riley in during the second quarter. Then just now he had Riley run the option. Oh the option is so beautiful when run well. Considering the amount of playmakers we have on the team this year, it would have been a perfect time to run a spread option like Florida. 12:41: Lol, they just showed a bitter Justin Forsett at the pulpit saying how Notre Dame didn’t work out for him. We definitely touched on that subject half-an-hour ago. 12:46: And that should be the game right there. 12:47: We take that back—Forsett was just afflicted with fumblitis. That’s not going to fly in the NFL good sir. 12:49: NO NO NO. WE WILL NOT LOSE IN THE FOURTH QUARTER AGAIN. WE WILL NOT LOSE IN THE FOURTH QUARTER AGAIN. 12:53: We were always under the impression that the Air Force academy is strong in math. Yet, they decided to go for a two-point conversion. 12:55: Williams and Jackson look totally different. That was definitely Williams. How are these guys getting confused. 1:00: The Clog is going to open itself to criticism here and propose that Tedford has possibly reached his peak. Here’s a great coach, but it’s possible that the no. 2 ranking was his ceiling and it’s time to move on. 1:03: And that’s the game folks. Kevin Riley has to be the MVP. And lol again. Fouts mentioned a possible quarterback controversy at least an hour after we did. The Clog should be hired by ESPN. 1:11: Well it’s about time for The Clog to be signing off. We hope you enjoyed our coverage today. At the very least, we enjoyed the live blogging experience. Happy New Year’s and Go Bears!